Ayyappa Devotees Vote only for the Party who stands with Devotee.. An 18 point Demands raised by SASS. HomeSabarimalaAyyappa Devotees Vote only for the Party who stands with Devotee.. An 18 point Demands raised by SASS. PRESS RELEASE AT NEW DELHI ON 19TH MARCH, 2019 By The National General Secretary, Erode N.Rajan. 1. Protect and keep the age old rituals and traditions in all the temples. If any modifications required to be made, it should be done after conducting ‘Devaprasnam’ and in consultation and agreement with the Aachaaryas, Thanthries, Temple authorities & representatives of devotees and experts in the subject matter. 2. Sabarimala temple and all other temples connected with Sabarimala viz. Pampa, Erumely, Pandalam, Achankovil, Aryankavu, Kulathoorpuzha temples to be taken out of the control of Government & TDB and the administration to be handed over to a New separate autonomous body of devotees - viz. ‘Sabarimala Devaswam’, as is done at Thirumala Thirupathi Devasthanam, Dharmasthala, Udupi etc. 3. Security arrangements and crowd management at Pampa, and the other temples mentioned above including Sannidhanam to be handed over to a Separate Security Force formed with Retired Police & Military Officers under the control of the above Sabarimala Devaswom and Police should be kept out of this area restricting their service up to the other side of the river Pampa. 4. The right to light the Makarajyothi at Ponnambalamedu to be returned to the tribes (Malayarachar). 5. Vehicle permit charges and Toll now being levied from Devotees of Ayyappa while visiting Sabarimala by road should be made Free. 6. Ayyappa Devotees should be given preference in Railway ticket booking to issue confirmed seats/berths for their pilgrimage. 7. The proposal of ‘Sabaripatha’ - Railway line to Erumely - should be implemented, at the earliest. 8. Pandalam Raja and Thanthri should be given due respect and facilities at Pampa & Sannidhanam. 9. 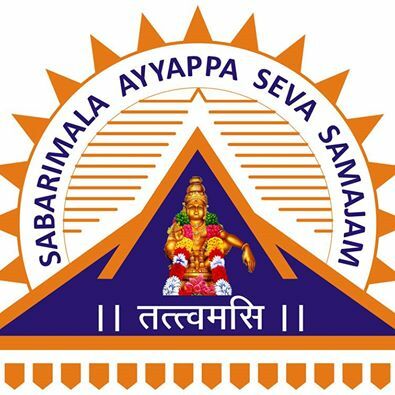 Insurance cover to Devotees now available at Sabarimala to be extended to them for their entire journey of their Sabarimala pilgrimage (from home to home). 10. Nilakkal, being the base camp, bus service from Nilakkal to Pampa and return to be made Free 24x7 hrs during the season and every month when the temple is kept opened. 11. Provide good shelters for devotees at Pampa and Nilakkal for taking rest. 12. 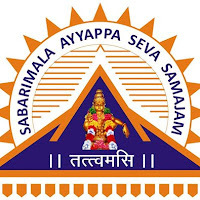 Permission may be given to NGOs engaged in dedicated service in the name of Ayyappa, for conducting Annadanam at all places from Erumely towards and including Sannidhanam. 13. Bath and Toilet facilities to be made Free for devotees at Sannidhanam, Pampa and all midway camps - Edathavalams - like Nilakkal, Erumely, Pandalam, Achankoil, Aryankavu, Kulathoorpuzha etc. 14. Queue system may be introduced at Nilakkal and Pampa for smooth boarding in buses. 15. Dolly service may be provided Free for senior citizens and 'Divyang' devotees. 16. Propagate and support Swach Sabarimala and Swach Erumely campaign and related activities. 17. Special discount/subsidy may be given to Devotees in their bus/train/flight charges for doing Sabarimala pilgrimage. 18. Provide all facilities to Sabarimala as a National Heritage Pilgrimage Centre.